Magical Fantasy Movies Like Harry Potter '+g+"
Harry Potter is a series of fantasy movies based on J. K. Rowling's popular Harry Potter novels. The main story of the film revolves around Harry who must overcome Lord Voldemort, the dark wizard who wants to conquer the world by subjugating all non-magical people. 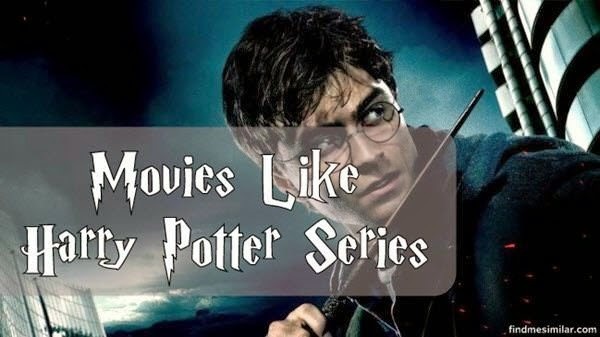 If you are Looking for more films like Harry Potter then check our list of recommendations which should give you a similar magical fantasy experience such as Harry Potter series in their own unique way. Hope you like these suggestions and don't forget to mention if we missed out on any other similar movies as we keep on updating this list. The Chronicles of Narnia is a series of fantasy movies based on C. S. Lewis novels with the same name. The movies revolves around the adventures of four kids to save the magical world of Narnia from the evil White Witch (aka Jadis) along with the help of Aslan a powerful and wise lion. The fans of Harry Potter Series are sure to love the magical world of Narnia. The movie follows Percy a teenager (Logan Lerman) who discovers that he is the son of Poseidon, a Greek god and must find the Zeus' stolen lightning bolt within two weeks to stop a war between the gods that could easily destroy the world. The Lord of the Rings trilogy is one of the best fantasy adventure sagas I have watched. Based on J. R. R. Tolkien's novel with the same name the movie tells us the adventurous journey of a humble hobbit Frodo Baggins (Elijah Wood) and his companions who sets out on a mission to destroy the One Ring. The Golden Compass is a 2007 adventurous fantasy film based on the first novel of Philip Pullman's best-selling fantasy trilogy "His Dark Materials". Set in a parallel universe filled with fantasy, the golden compass tells the story of Lyra Belacqua who sets out on an journey to far north to save her friends and many missing children from the Gobblers. Stardust is a 2007 romantic fantasy movie based on Neil Gaiman's novel. The movie follows Tristan Thorn (Charlie Cox) a charming young boy who ventures into a magical world in search of a fallen star (Claire Danes) that can help him win the heart of his love. The Last Airbender (2010),...if you can think of more similar films then don't forget to mention them in the comments below.